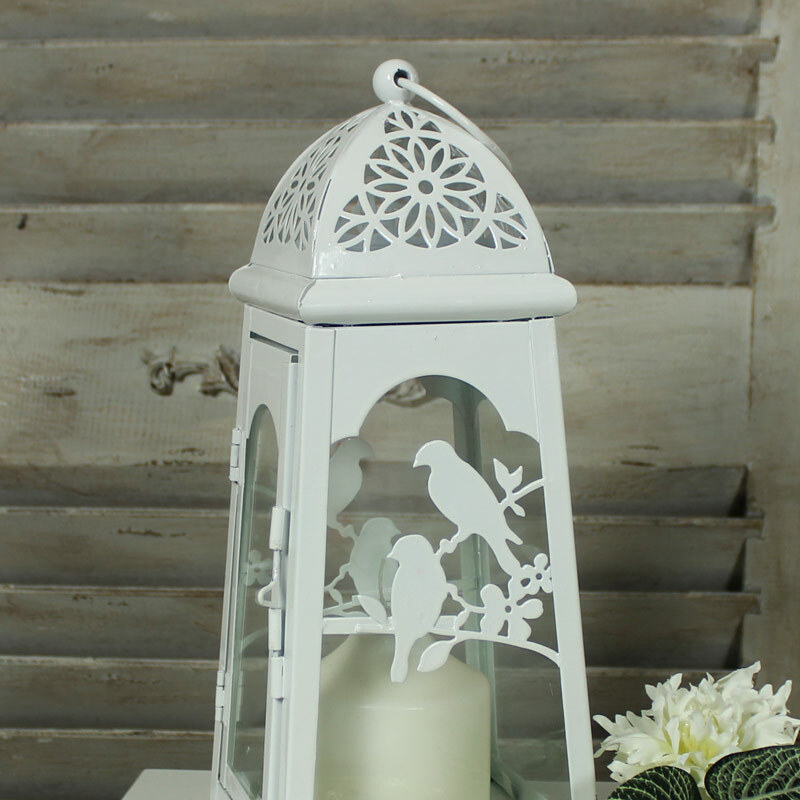 From the homeware and giftware collections, this is a decorative Lantern which is made from metal to hold a pillar candle or tea light. 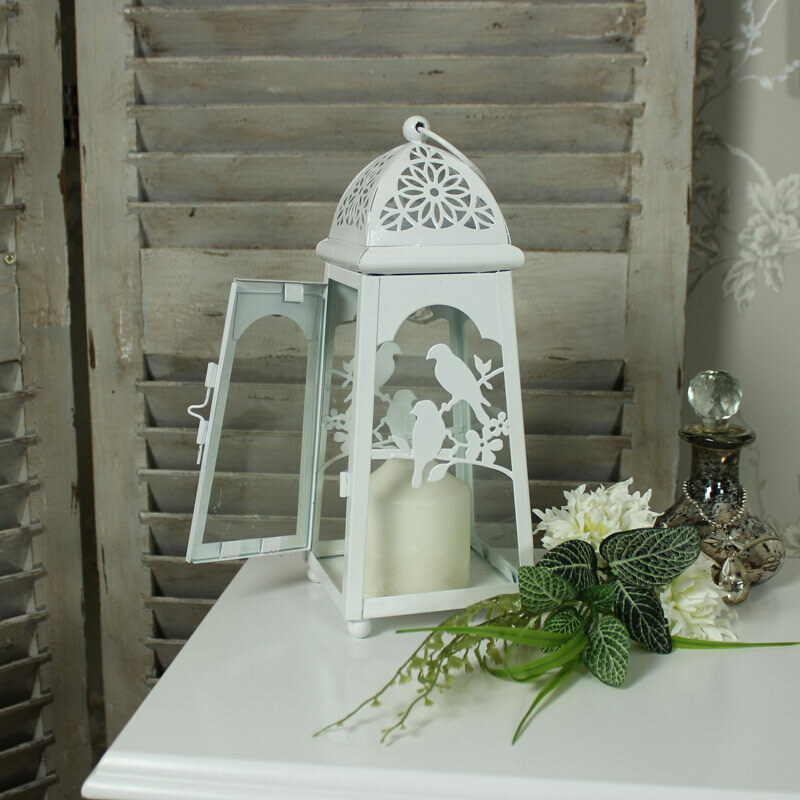 It has a Moroccan styled top and it has glass panels to each side, one of which opens to place the candle. 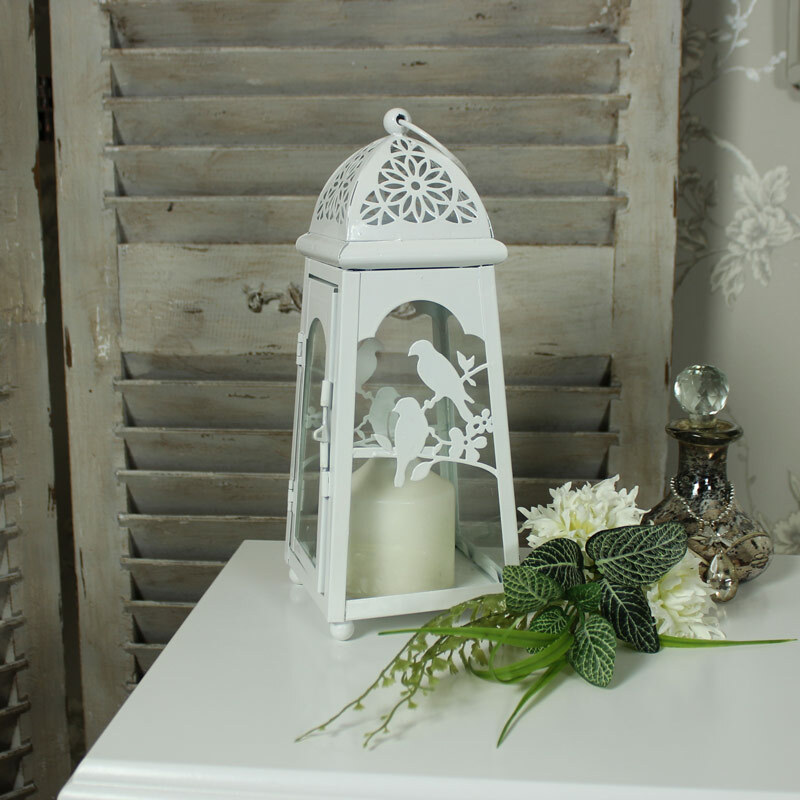 It is painted cream, and has birds on perches on 2 of the sides as decoration. There is a handle to carry it and 4 ball feet to the bottom to protect your furniture. The dimensions are 27 cm x 11 cm x 11 cm (height x width x depth).